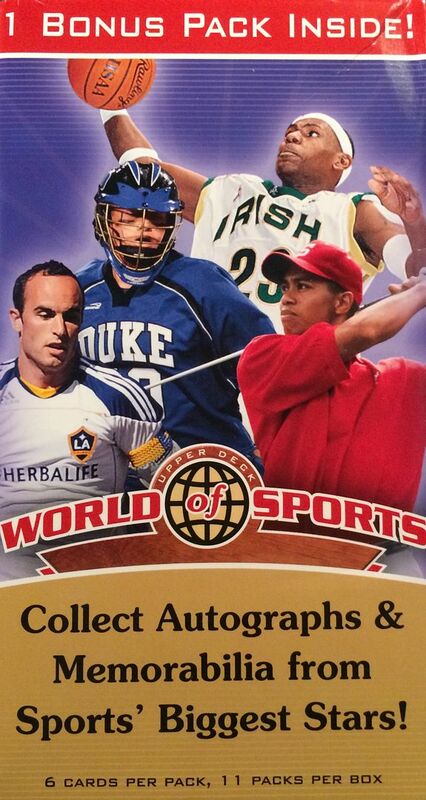 Alright guys, you know I can't resist getting World of Sports when I see it on the shelves! So for today's break I'm going to be opening up a blaster of it I got at the discounted price of $12.99. This blaster contains a variety of athletes from a handful of different sports. My first ever blaster of this product was pretty good... so that kind of set the bar pretty high for World of Spots. Since then, the bar has not been reached. Every time I buy one of these, I hope that the box will at least match the content in that first one. I've been disappointed after opening these last few World of Sports blasters. I hope the trend doesn't continue here today. Though I didn't get a hit out of this blaster, at least this had a numbered insert card that came out very early. Though this box didn't really give me anything of note, the insert was something... and something is better than nothing. So maybe I'm on the up and up with these blasters! The smattering of athletes across many sports was again fun to see. I did end up getting two Larry Bird cards - but they were different from each other. One had a lower number in the set while the other one was pretty high. I wonder what the reasoning was for including duplicate players in the set. I'm not complaining, though, as getting Larry Bird is pretty good for a base card. I was definitely a bit surprised to see this card come out of my blaster. 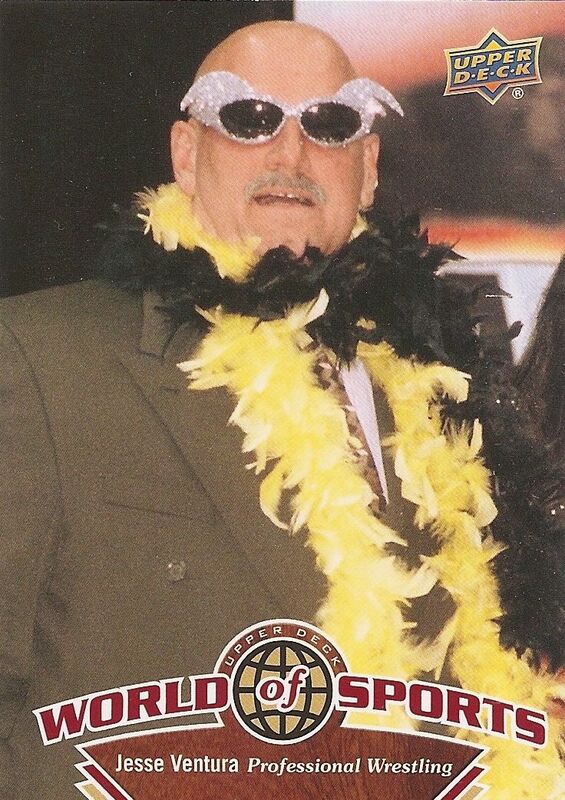 Jesse Ventura was a professional wrester, but later on took on governorship of Minnesota. It's these kind of cards that I think make the set really fun to open and collect. 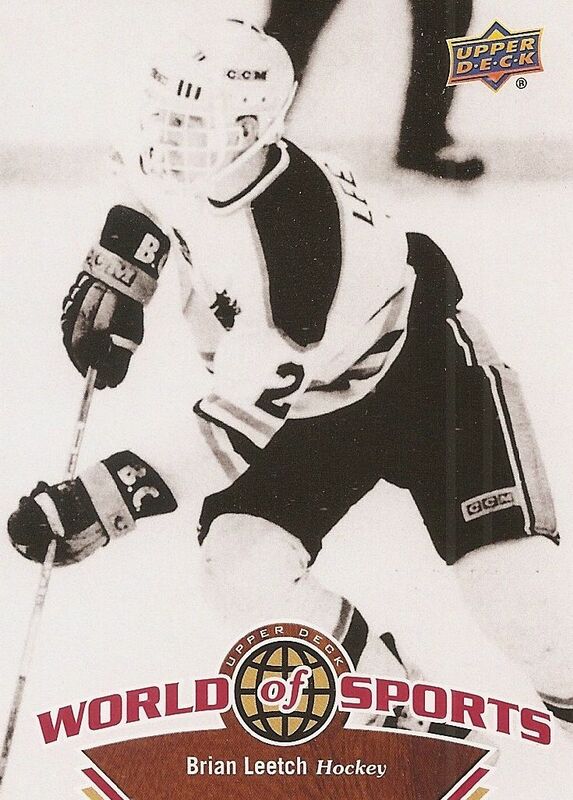 Leetch was one of my favorite defensemen when I collected hockey cards in the 1990's. He played for some very good New York Rangers teams. It was pretty cool to pull a card of his here as I had a minor PC of his when I was younger. 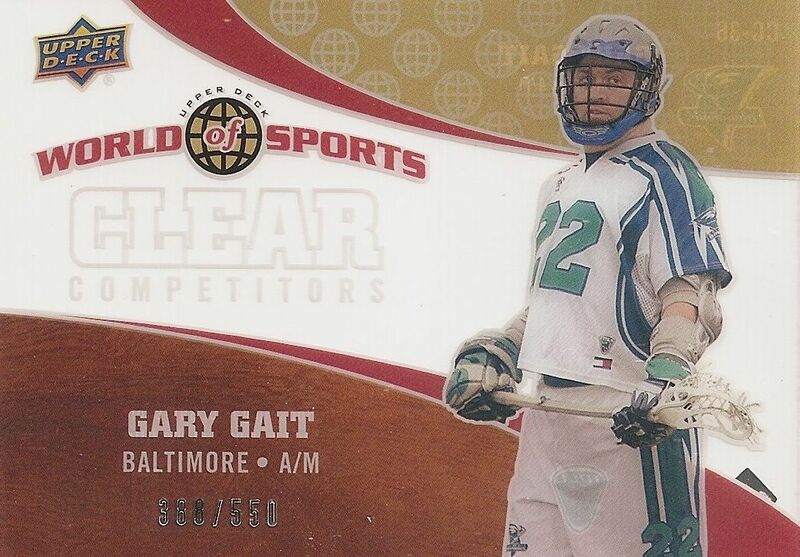 I have to be honest and let you know that I have no idea who Gary Gait is, but I do like the fact that this card is printed on acetate and serial numbered. It's not really a 'hit' in terms of an autograph or memorabilia, but this card is special enough with what it has. So I just got an insert card in this blaster... worth the money? Well, no. But this one was a decently fun break, and the insert card did catch my attention. At $12.99, i find these blasters a great value, and I would pick them up again if I ever see them re-stocked at my local Target store.